Leo Messi, the top scorer in the league with 34 goals and currently the leader of the European Golden Shoe, is also the player who has executed most direct free-kick goals (6) in the League championship. Real Sociedad, Las Palmas, Alavés, Atlético, Girona and Leganés have all been victims of his dead ball accuracy, but close behind is another player with No.10 on his back: Enis Bardhi. 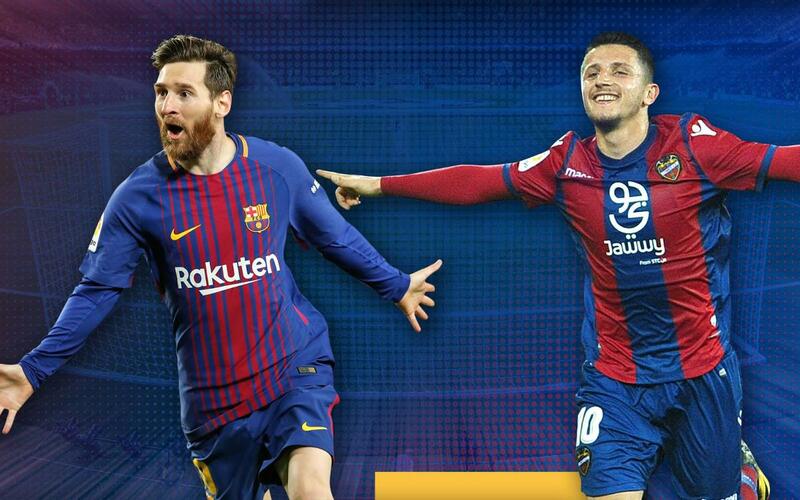 Levante have scored seven goals from free-kicks in the League this season, and five of Bardhi’s have been direct. Athletic (2), Deportivo, Real Sociedad and Leganés are the teams that the young Macedonian player, in his first Spanish top flight campaign, has scored against. On Sunday in the Ciutat de Valencia, the two sharpshooters will come face to face. Barça players, already League champions, will try to continue their unbeaten run, while Paco López's men will play their last home game of the season.